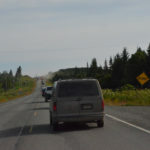 July 20, 2015 – Seward to Homer – A long day trip from Seward to Homer to see the spit. A stop at a beach and wetland yielded some nice bird pics and distant views of volcanoes Iliamna and Redoubt across the inlet. A couple of stops at the viewpoint before dropping down into Homer afforded a great view of the spit and mountain backdrop. As I was heading out the sun was low, painting the snowfields with alpenglow. The drive from Seward to Homer is about 170 miles or so. Heading back towards Anchorage we arrive at Moose Pass about halfway across the Kenai Peninsula and turn west. These rivers are famous for fishing, and there are plenty of folks out in boats and along the banks. Also lots of little resorts offering their services along the road. Travel is slow in places because of the congestion, and narrower roads. 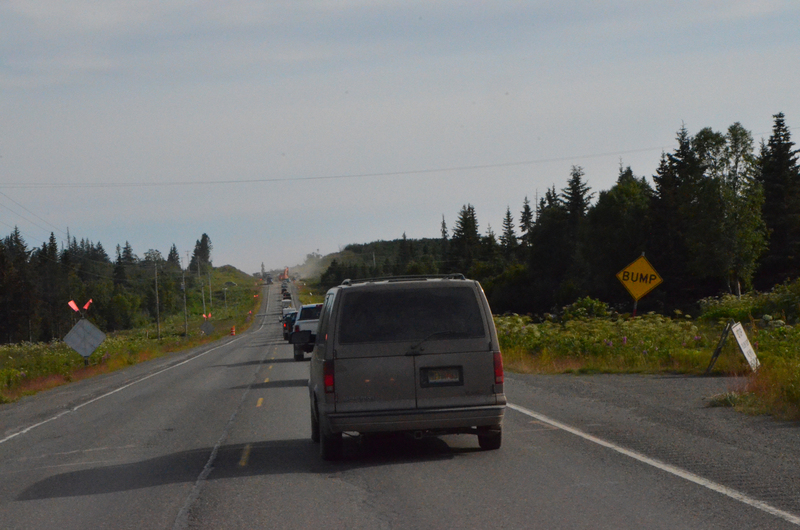 As we approach Cook Inlet the road follows along the high bluff. For the most part views are limited here, but I found a spot where I could get down near the water. Boats are launched here using various kinds of construction equipment. I didn’t get to see this in action but the narrow sandy beach showed plenty of evidence of recent activity. The park included a large wetland, and the angle of the sun was just right to provide great lighting. 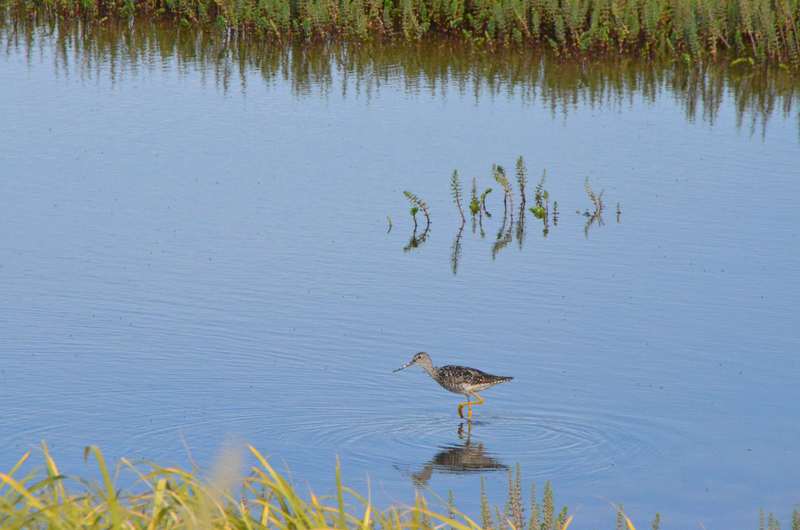 Plenty of shorebirds were going about their business and paying no attention to me. As in many places there was construction along the road, but waits not too extreme. Talking with flaggers along the way there was a lot of interest in my little trailer. It seems that the commute from some random accommodations near the constantly moving construction sites can be taxing. But I have to believe that they didn’t quite grasp the price tag for the little high quality trailer. But they didn’t ask and I wasn’t going to spoil their day dreams. 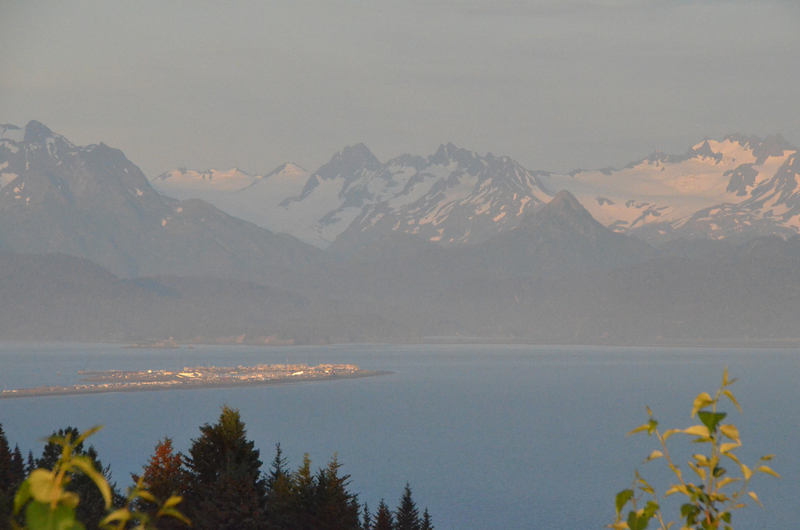 The Homer spit is 4.5 mile long stretch of land at the entrance to Kachemak Bay. Whether deposited by wave action or a long retreated Glacier is uncertain, but it certainly is unique. Near the end of the spit are many businesses catering to tourists and fishermen. 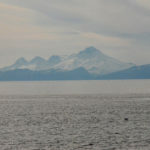 Shops and restaurants are intermingled with businesses offering charter boats and planes for fishing, bear viewing and other types of adventure. It was a bit late when I arrived, but then I’m not much of a shopper. I did inquire half-heartedly about a bear viewing flight, but if I had been serious I should have booked a while back. I had a nice dinner before I headed back along the peninsula. As I was leaving Homer the sun was setting and the orange light was reflecting off the businesses on the spit, as well as painting the mountains. From here I drove another 200 miles to a camp ground I had stayed at previously. The campground Williwaw is near the entrance to the tunnel to Whittier. I was setting myself up for a tour that I had booked out of Whittier the next day, and I planned to leave the trailer in the park for the day. This would save on both tunnel fare and parking in the land starved shelf called Whittier. Being familiar with the campground and knowing it had a host but was self service registration it was no worry arriving so late at night. This guy came gliding into my shot and I tracked him a moment and snapped the pic. 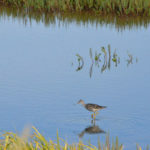 Shorebirds still doing their thing. Wetlands on the shore side of the road, and a narrow beach with Cook Inlet on the other. 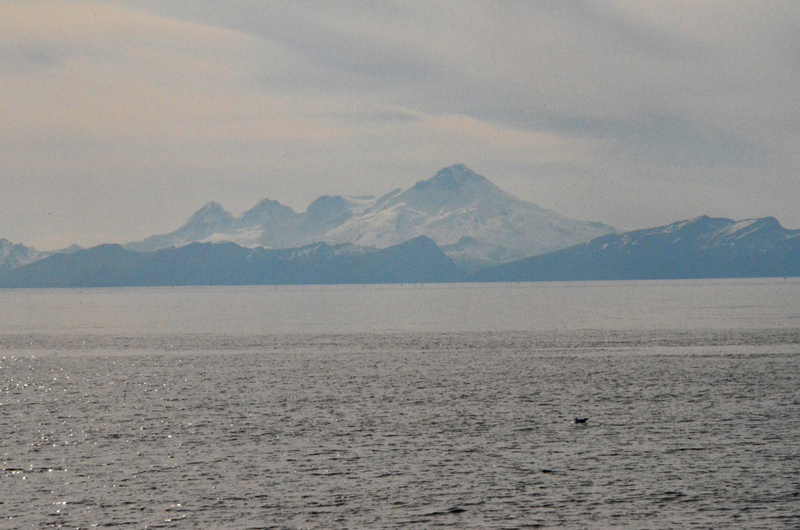 I believe this is mount Redoubt, also far across the inlet. First look at Homer Spit. Halibut fishing capital of the world. Business area near the end of the spit. The other side of the road on the spit.